Patricia Birch (Director / Choreographer) Two Emmy Awards, Five Tony Nominations, 2 DGA Nominations, Drama Desk, Billboard, Barrymore, Fred Astaire And MTV Awards, For Her Work In All Media. Choreography For Original Productions: You're A Good Man Charlie Brown, The Me Nobody Knows, Grease, A Little Night Music, Candide (H. Prince Version), Diamond Studs, Over Here, Pacific Overtures, They're Playing Our Song, Gilda Radnor Live From New York, Zoot Suit, Rosa, Street Scene, (NYCO) The Cradle Will Rock, The Happy End, Parade, Robert Altman's A Wedding (Chicago Lyric Opera), Lovemusik. Direction: I Sent A Letter to My Love, Really Rosie Raggedy Ann, Elvis, The Mass, Band In Berlin (Barrymore Awards) The Snow Queen, Of Thee I Sing/Let Them Eat Cake, The Thomashevsky Project With The San Francisco Symphony, Orphan Train. Film: Grease (Choreography), Grease II, (Direction and Choreography) First Wives Club, The Wild Party, Roseland, Big, Awakenings, Working Girl, Billy Bathgate, The Human Stain Etc. TV Direction: "Natalie Cole: Unforgettable," "Celebrating Gershwin" (EMMY Awards), "Dance In America," "Saturday Night Live" With Gilda Radner, Steve Martin, Bill Murray, etc. Videos: Directed And Choreographed For Cyndi Lauper, Rolling Stones, Carly Simon Etc. 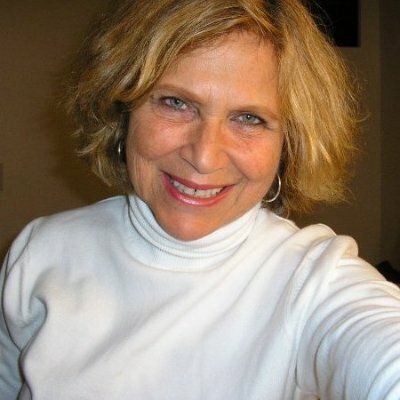 Gail Kriegel (book, music and lyrics) Gail wrote the book and lyrics for Rainbow Junction, an operetta for young audiences and collaborated with 6 other award winning women playwrights on Seven, a docudrama which has been seen all over the world. Seven was presented by 7 NATO Generals and in New York by Tina Brown starring Meryl Streep, Marcia Gary Harden and introduced by Hillary Clinton. On The Home Front, about returning veterans, was seen at the National Black Theatre Festival, The Women's Project and Productions, the University of Alabama, Birmingham and the Empire State Institute for Performing Arts in New York State. (Ruby Lloyd Apsey Award for Playwriting and a Rockefeller Foundation Fellowship.) Fragments, a short film based on On The Home Front, produced by Stan Salfas Productions, won Best of Fest in the Humboldt, USA and Cork International Film Festivals. She is a member of the Dramatists Guild, and the League of Professional Theatre Women. Gail received her MFA in Playwriting at Brooklyn College.